A rather literal translation, used both by Catholics and Protestants. This edition contains full Bible text (Basic Edition) and 96 additional colour pages with information on the Bible, useful for religious education and specially endorsed by Catholic and Lutheran catechetical bodies. 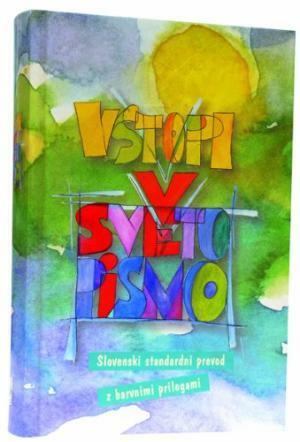 Slovenia 'Enter Into The Bible' Edition by BIBLE SOCIETY was published by Bible Society in February 2003. The ISBN for Slovenia 'Enter Into The Bible' Edition is 9789616138512. Be the first to review Slovenia 'Enter Into The Bible' Edition! Got a question? No problem! Just click here to ask us about Slovenia 'Enter Into The Bible' Edition.